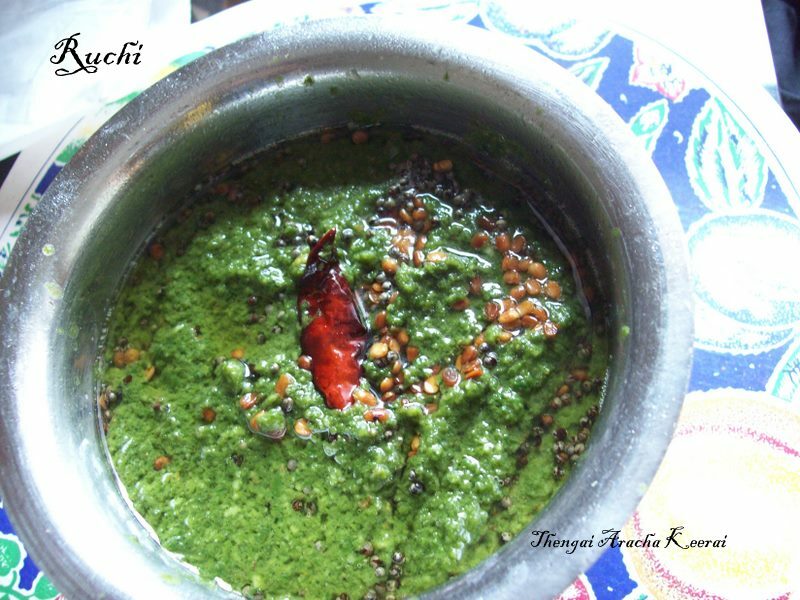 Thengai aracha keerai is a simple and healthy dish.Coconut, jeera and coconut oil enhanced its flavor in keerai. 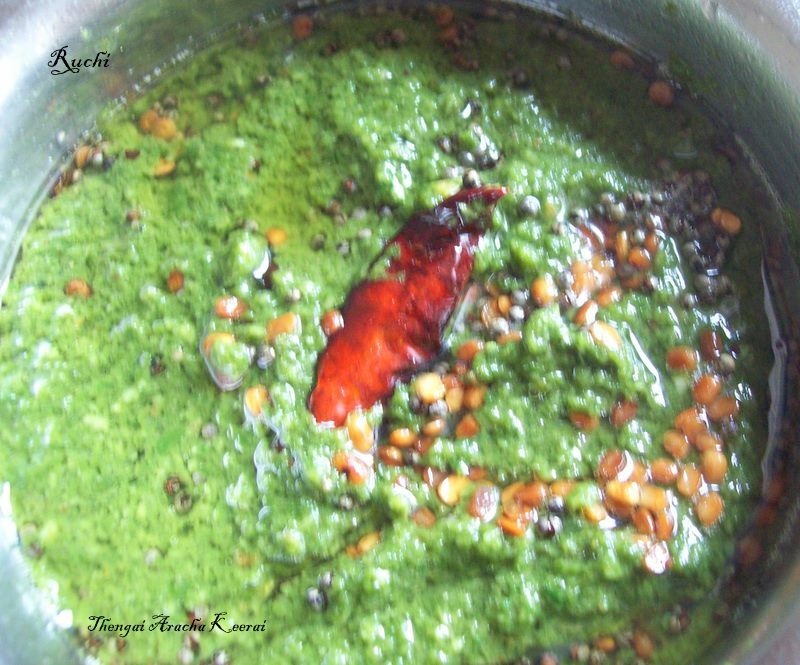 It goes well with sambar, vathakuzambu and It can be taken with thayir satham also.We all love this Thengai aracha keerai which is a regular preparation at home. We love this dish with some hot plain rice or with sambhar sadam .Simple to make and with abundance flavor. 1.Boil the spinach In a very heavy bottom pan place the chopped spinach leaves with half cup water and cook till spinach to completely wilt and release the water content. 2.Once thoroughly cooked, remove the pot from flame Keep mashing the spinach in the pot with the heavy iron /wooden spoon, until the spinach is creamy. 3.In the mean time, grind the coconut, jeera, rice and green ,red chili to a fine paste . Now add the grinded paste and salt in mashed spinach. Allow it to boil for 5 minutes till the raw smell goes away. 4.In a small skillet, place 1 tsp of coconut oil add the mustard seeds, when it splutters, add the uraddal. Fry until light golden, and then add the red chilli and hing. 5. Saute for a few seconds until crisp and slide the tempering onto the mashed spinach. Add the coconut oil to the keerai. Switch off the stove Serve hot with Sambhar Rice or Curd Rice. The recipe is too gud jeyashri,will make it same way next time and which keerai is gud to make this?